The history of mountaineering began on Denali with the legendary story of four gold miners (called “Sourdoughs” because they carried sourdough starter with them at all times) who claimed to have summited after climbing more than 8,000 feet of steep snow and ice, then descended—all in a single and incredibly dangerous day in 1910. 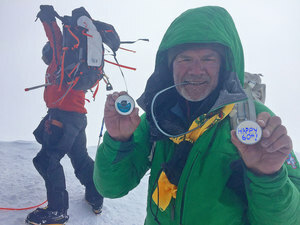 Lugging a 25-pound, 14-foot flagpole to mark their success, they took on North America’s highest peak using sheet metal crampons, coal shovels, hatchets, and pike poles to balance their way up the mountain. Was the expedition a success or a hoax? Long inspired by these Sourdoughs, Denali expert Jon Waterman chases the truth during his one final climb of the mountain and a scholarly solving of a colorful mountaineering mystery. Jon is the author of 14 books, including several award-winning titles. 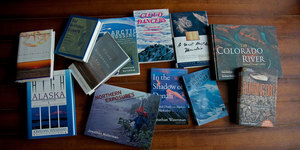 Over the last 40 years of his unique writing career, he has specialized in first-person immersion during arduous adventures; environmental reportage on subjects ranging from Arctic oil development to the Colorado River; and scores of in depth profiles. He has worked as an editor, a filmmaker, and a photographer. 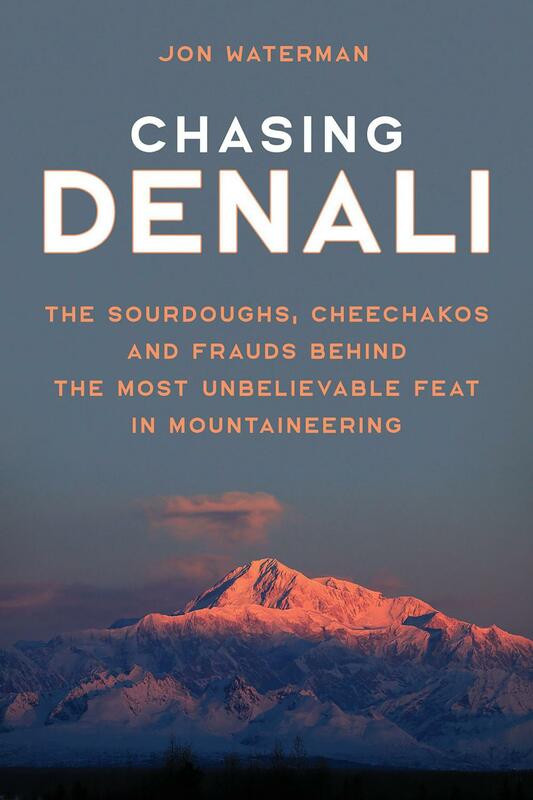 Chasing Denali (Nov 2018) details a return to the mountain (to investigate the century-old mystery of the Sourdough climb) in 2016 during his 60th birthday, volunteering for a National Park Service Patrol, where he worked as a ranger and guide in the 1980s. Chasing Denali is his fourth book on this venerable mountain, following his 1993 classic In the Shadow of Denali.